This Groundbreaker Ghoul starts spewing fog when activated. 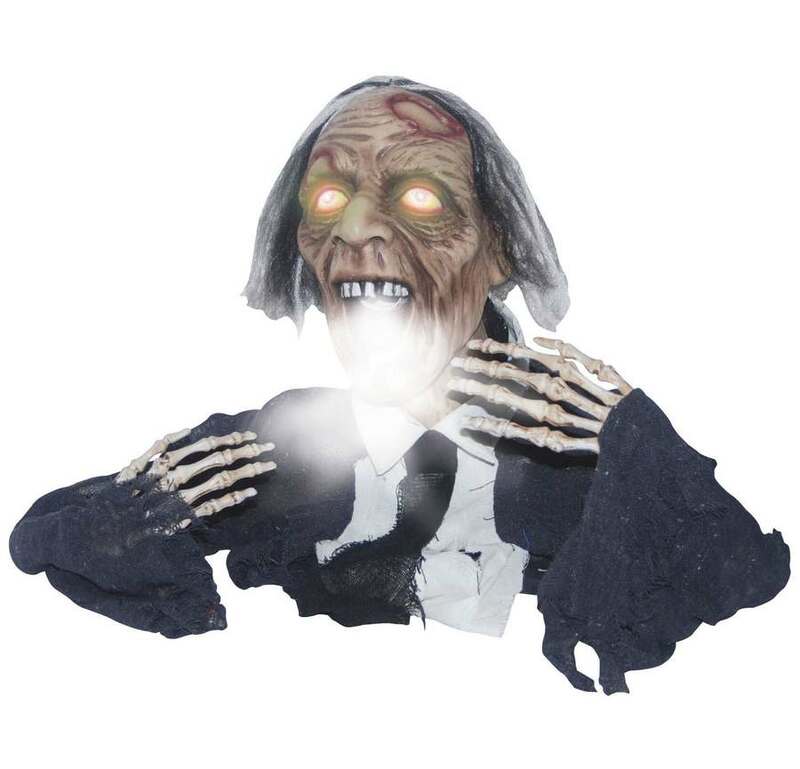 His head turns left and right and his eyes light up while spooky sounds play. Comes with hose to connect to your own fog machine. Approximately 27" tall. Arms are posable. Requires 3 AA batteries.